Cat's Eye Carving » Blog Archive » What have I been up to lately? 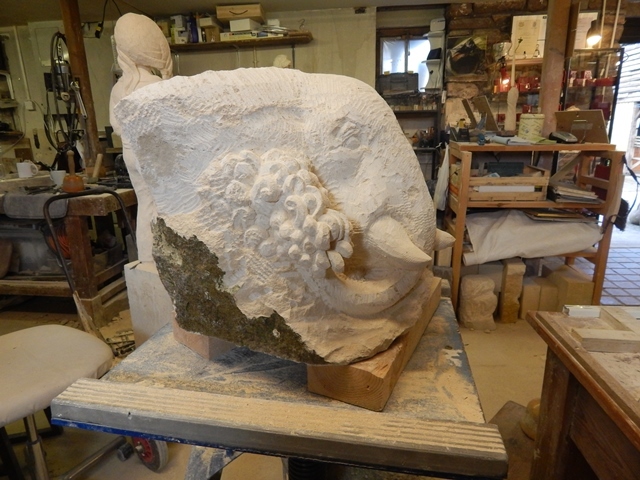 I have been very busy organising the Gloucester Stone Carving festival as well as working on my commissions. 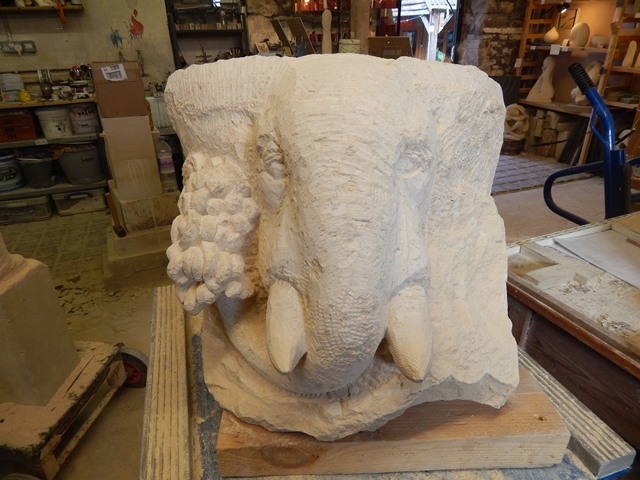 So in between the letter cutting I have been carving a raffle prize in the form of an Elephant. The theme for the festival is wild animals this year. 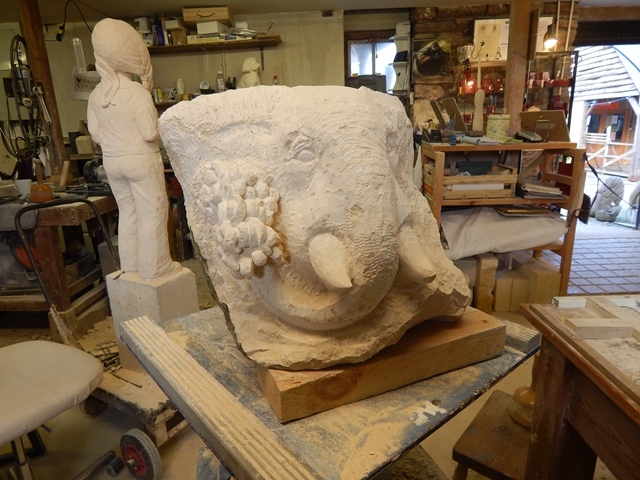 Visit www.stonecarvingfestival.co.uk for more information. 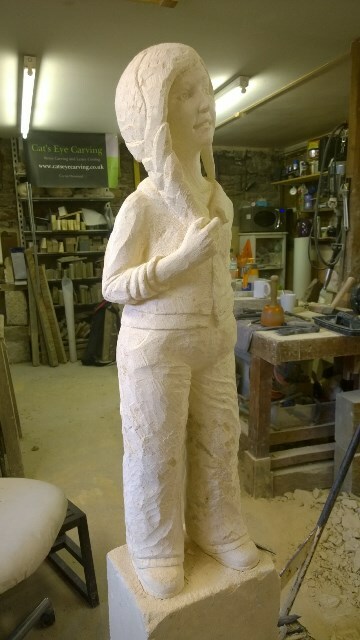 I have been steadily working to finish the half life size sculpture titled ‘What’s the question?’ I have been struggling with her face as it wasn’t the expression that I wanted and until I could resolve this I couldn’t finish the carving. 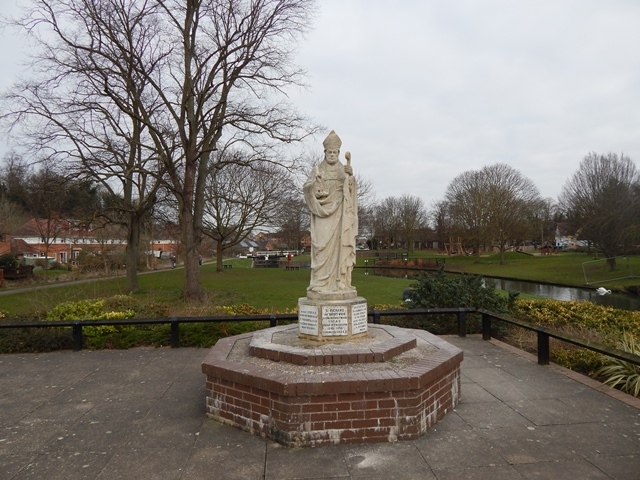 I had a breakthrough last week-only one chance to get it right otherwise the whole thing would have been ruined but I did it and I’m really happy with the result. 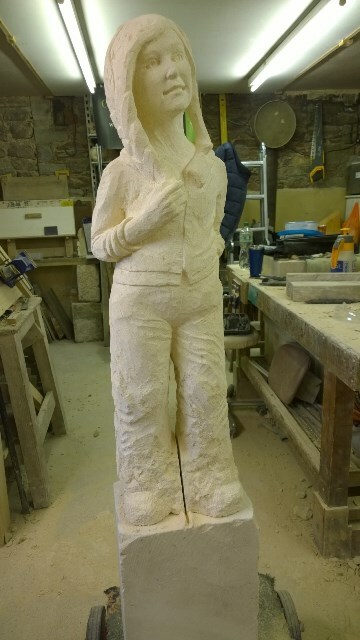 She now stands on a piece of Portland limestone as her pedestal and I am able to work on her feet as you can see she has boots on! 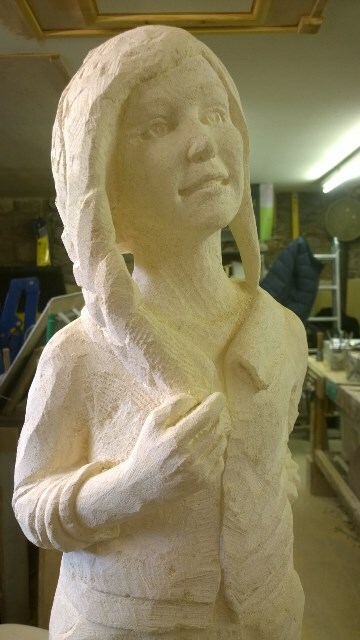 With the final detailing on the whole I hope to have her finished in the next week. 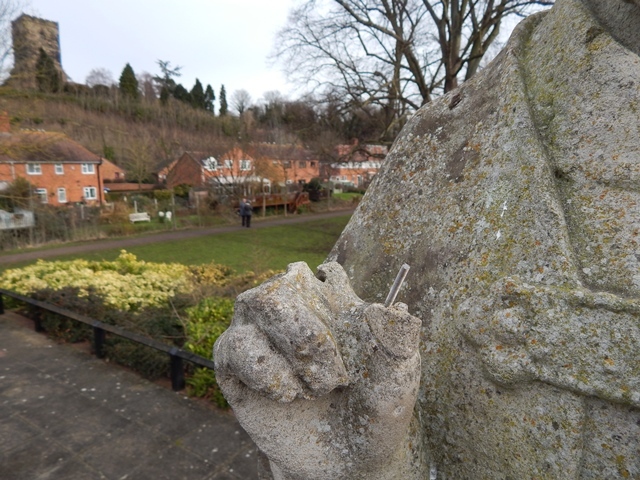 Today I travelled up to Droitwich, sadly the statue that I was asked to repair back in 2006 was vandalised again so I had to replace his fingers and thumb the tip of his Mitre and the Crozier top. 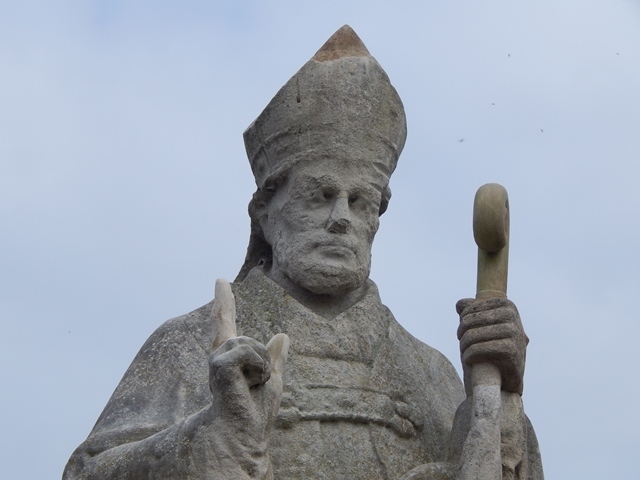 I made clay models and used these to give me the approximate size and shape, once I had made the pieces in my workshop I could go and attach them to St Richard. 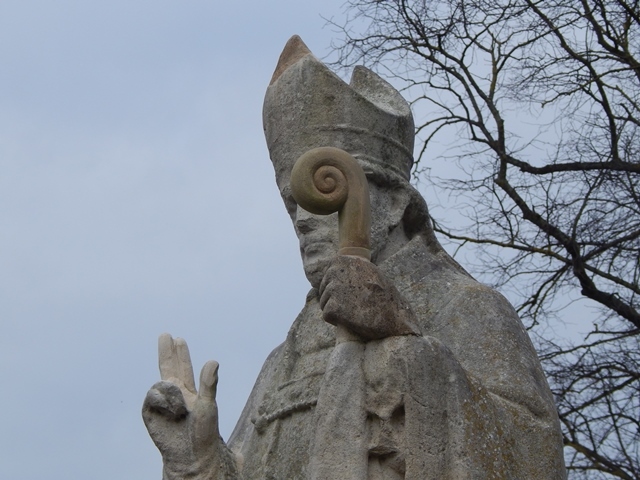 I really hope he doesn’t get damaged again. 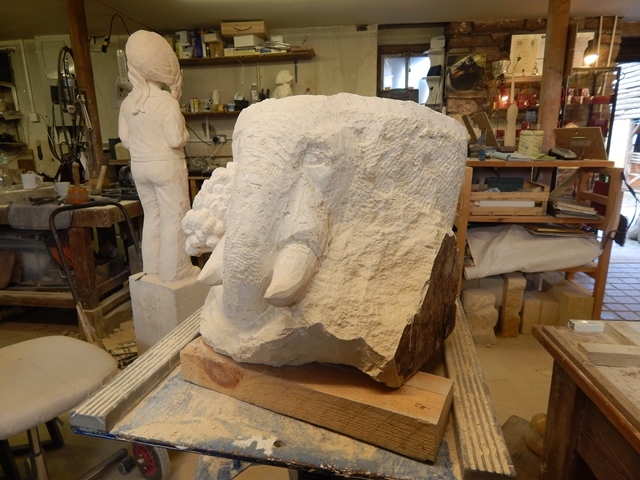 Once the Elephant and What’s the question are finished I can make a proper start on the 1ton boulder of Forest of Dean Sandstone I have for my next commission-a sculpture for a 25th wedding anniversary present!